The remarkable clarity with which Jeff presented his own investigation and what it has yielded for him fostered an interest and curiosity about what my own journey might be. Dr. Jeff Haller is the founder of Inside Moves. Jeff Haller studied directly with Dr. Moshe Feldenkrais, the founder of the Feldenkrais Method®. In 1983, Jeff graduated from his own professional training program in Amherst, Massachusetts. After graduation from his Feldenkrais training in 1983, Jeff named his business Inside Moves. Over the years, Inside Moves has gone through many different forms including as a movement arts center in Seattle, WA begun in 1984 to 1991 where classes in Feldenkrais, Aikido, Yoga, Tai Chi, meditation were offered. From 1993 to the present day Jeff’s primary focus has been to train Feldenkrais Method teachers. 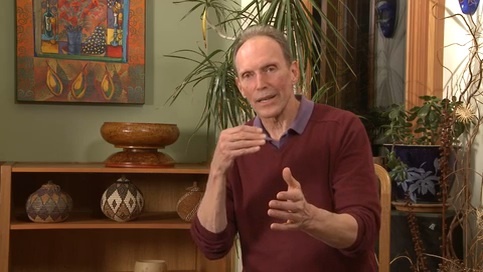 In the following years, he developed and refined his skills, traveling and working in Feldenkrais training programs, while building an extensive private practice in his hometowns of Bend, Oregon and Seattle, Washington. Profound events as a high school basketball player, as well as extraordinary synchronous events in life, have lead Jeff into a lifelong passion for personal self-emergence. As a high school basketball player, he profoundly experienced "The Zone" in several games he played in. There was no one talk with about his experiences as this was in a small town in the mid 1960’s. In 1972, in his fifth year at Oregon State University on an athletic scholarship, his speech professor gave him a five-minute experience of Awareness Through Movement®. Dr. Moshe Feldenkrais had only recently come to the United States and was giving some of his first workshops there. Jeff found more implicit intelligence and potential for learning in those five minutes than in the previous five years of training he had undergone in university level basketball. Another leap took him to the University of the Americas in Puebla, Mexico where he finished a Master’s Degree in Intercultural Education in 1974. While there, he began studies in yoga and reading eastern literature. While recovering from a bout of hepatitis, he became acquainted with a number of books that gave him the feeling that he had discovered the doorway and his affinity for turning his attention inward. Upon returning from Mexico, Jeff lived in Oregon and became a high school teacher. At a conference he helped organize, he saw George Leonard give a demonstration of Aikido. Jeff recognized Aikido as a three-dimensional form of play and movement that would open him to a much fuller range of expression and movement than basketball had. He turned in his resignation as a high school teacher the next day. He was moving to San Francisco to study Aikido. That very evening, while visiting the professor of speech who had introduced him to Feldenkrais, he was given a brochure for the Institute of Transpersonal Psychology (ITP). Aikido and the Feldenkrais Method were part of its Ph.D. in Transpersonal Psychology program. Jeff had found heaven— or so he thought. To his dismay, upon his arrival in the Bay Area in the fall of 1977, he found that Moshe Feldenkrais was just completing the San Francisco training program he had begun in 1975. He was not intending to train another class of practitioners. This was a blow, but Jeff had in fact found a home at ITP and was profoundly involved with his doctoral course work, classes in the Feldenkrais Method of Awareness Through Movement® and training in Aikido. As it turned out, with the completion of his course work in 1979, it was announced that Feldenkrais was going to hold another training. This one in Amherst, Massachusetts, beginning in June of 1980. That following June, Jeff began to train directly with Moshe Feldenkrais. In 1981, he received his first degree blackbelt, continued to train with Feldenkrais, and began his doctoral internship program with the St. Joseph’s University Hawks basketball team in Philadelphia. He worked with the team teaching Aikido and Feldenkrais to improve movement and self-awareness skills of the players. The team ended the season with a record of 25 wins against 5 losses and went to the NCAA tournament, bowing out in the first round. 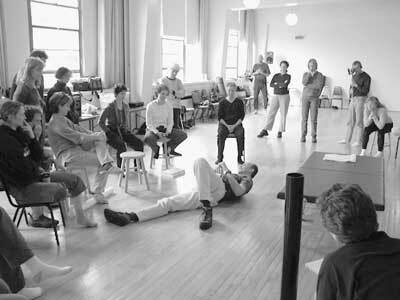 Upon completion of his Feldenkrais training program in 1983, he moved to Seattle where he developed his teaching skills, built his movement art centers and prepared to become a trainer of future Feldenkrais Practitioners®. In May of 1988, he finally completed his doctoral dissertation and graduated with his Ph.D. 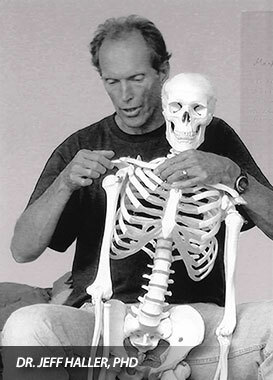 In 1993, Jeff became a trainer in the Feldenkrais Method. He has taught in Australia, New Zealand, Argentina, Canada, Germany, France, Italy, Holland, Sweden, Norway and in many places in the USA. He has been the educational director and has graduated classes in nine Feldenkrais practitioner-training programs. He is currently running his second program in Victoria B.C. In 2000 Jeff with his wife Mary moved to Bend, Oregon where their two children, Grace and Cole were born. After seven delightful years in Bend Oregon, Jeff and his family moved to Bellevue, Washington to enroll their children in the Three Cedars Waldorf School and live in a larger population base to support his individual work. Jeff has continued to teach in Feldenkrais training’s but is presently shifting his focus away from travel towards working more at home in his own time zone with already graduated practitioners and the public. His personal interests include his family, Sunday breakfast (where it has been heard that he makes a mean batch of whole-wheat buckwheat sourdough pancakes), his yard, flyfishing a few times a year, golf in solitude after all have left the course, and growing a few greens in his garden. He enjoys meeting and working with old friends and new students, and deeply hopes he has been (and continues to be) of real value as an advocate for personal self-emergence and growth for all he meets.